Jamie Dornan arrived on the Red (Room of Pain) Carpet wearing an Hermés tuxedo, Tod's shoes, Cartier cufflinks and a rose gold Drive de Cartier timepiece. Dornan and his Fifty-Shades co-star Dakota Johnson presented the award for Best Production Design to the La La Land team. Previous Topic: Check for stolen watch? 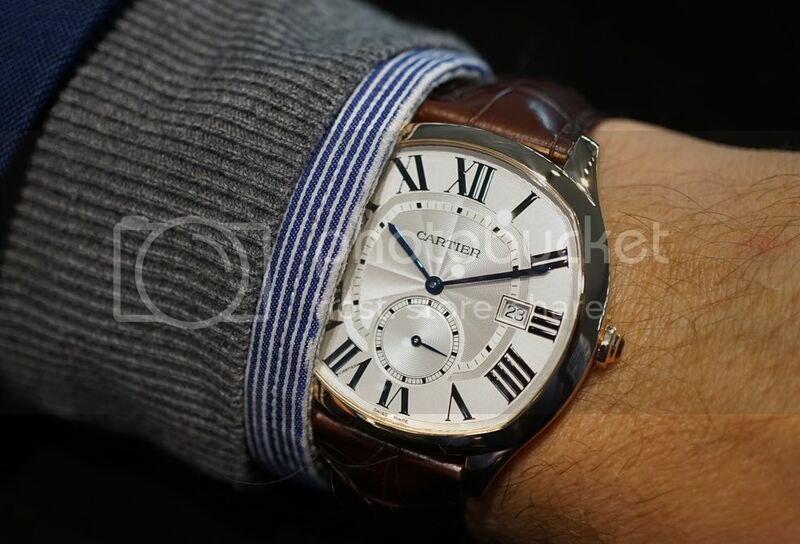 Next Topic: Does anybody know approximately when Cartier stopped hand stamping case number?